Surgical site hairs were shortened with an electric clipper before the surgery in the ward. For all patients, 1 g of vancomycin and 1 g of ceftazidime were injected intravenously 30 min before the surgery. All patients were under general anesthesia. After induction of anesthesia, the patients were placed in the knee-chest or prone position depending on surgery type and surgeon's opinion. Primary skin preparation was performed by a neurosurgery resident using povidone-iodine 7.5% (Najo Co., Tehran, Iran) diluted with normal saline 0.9% (Samen Pharmaceutical Co., Mashhad, Iran) for approximately 3 min, followed by secondary surgical site preparation performed by surgical first assistant using povidone-iodine 10% (Tolid Daru Co., Tehran, Iran) for 2 min. After the skin preparation, the patients were draped with disposable nonwoven sheet set (Mölnlycke Health Care AB, Samut Prakan, Thailand). In addition to the nonwoven surgical drapes, the plain ID (Mehr Teb-e Jey Co., Isfahan, Iran) with a size of 28 × 30 was also adhered on the surgical site only for the patients in the treatment group. The type of ventilation system and temperature (approximately 25°C) was the same in all operating rooms. All surgical team members wore the disposable gown (Mölnlycke Health Care AB, Samut Prakan, Thailand) and a pair of gloves (Mölnlycke Health Care AB, Selangor, Malaysia). 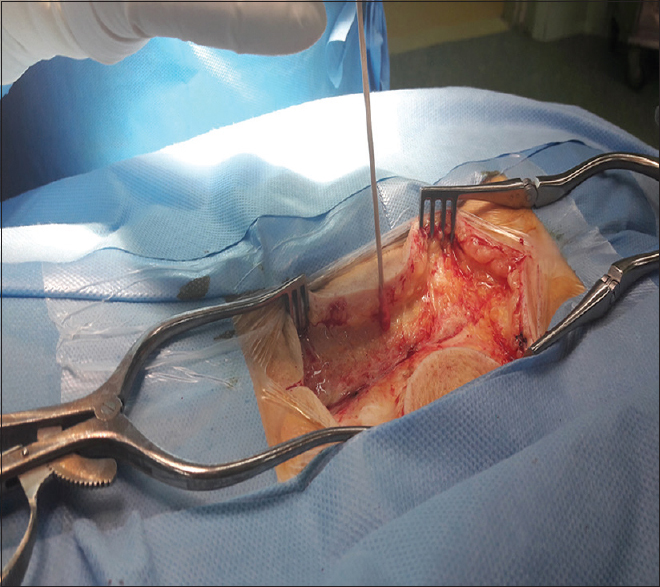 All surgical procedures on lumbar spine were performed with a posterior midline approach for patients with intervertebral disc herniation (27.3%), spinal canal stenosis (18.2%), and spondylolisthesis (54.5%) problems. Depending on the surgical diagnosis, paravertebral muscles were subperiosteally dissected as unilateral (for herniated intervertebral disc involvement ipsilateral) or bilateral (for spinal canal stenosis and spondylolisthesis). After the exposure of the vertebrae, laminotomy and discectomy were performed for the patients with herniated intervertebral disc involvement ipsilateral (L4–L5 = 76%, L5–S1 = 24%), laminectomy for spinal cord and nerve root decompression in the patients with spinal canal stenosis (L3–L4, L5 = 45%, L4–L5, S1 = 55%), and laminectomy, foraminotomy, discectomy, and interbody fusion for the patients with spondylolisthesis (L4–L5 = 65%, L5–S1 = 35%). At the end of the procedure in two groups, the wound was cleaned with normal saline 0.9%, and a Hemovac drain was placed under the fascia, and then the wound was closed. After complete skin suturing, the incision length was measured with a sterile ruler [Figure 1]. The wound samples were obtained aseptically from the patients in each of the two groups in two steps, immediately after surgical incision (IASI) and immediately prior to the surgical wound closure (IPSWC) by wearing sterile gown and gloves. In the first step, the samples were obtained IASI and subcutaneous exposure from the surgical wound edge (epidermis, dermis, and hypodermis) at a range of approximately 2 cm × 2 cm (4 cm2) in the middle of the surgical incision with a sterile swab prepares from a company [Figure 2]. 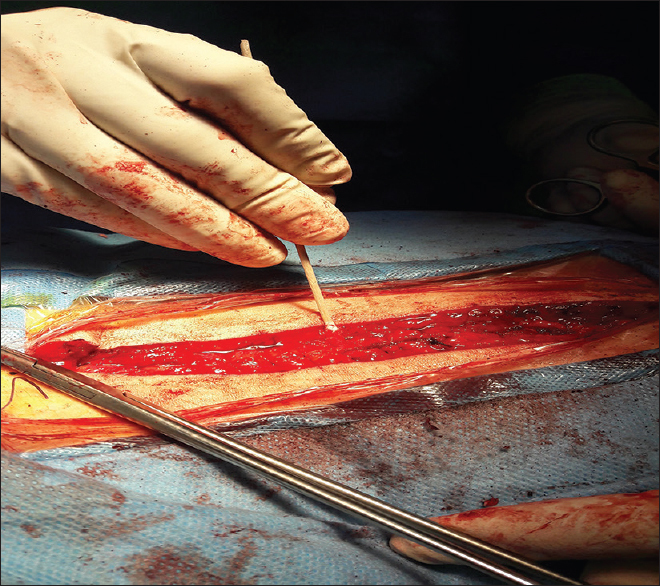 In the second step, the samples were obtained IPSWC, exactly after lumbosacral fascia closure with another sterile swab from the same site mentioned [Figure 3]. All samples collected from the wound edge were obtained from the same site by a technique of five horizontal movements (left and right) and two vertical movements (up and down). The samples taken with sterile swabs at the two stages were cultured with a standard manner on blood agar (Merck, Germany) and MacConkey agar (Merck, Germany) media [Figure 4] in an operating room environment., The media was then sent to the laboratory to determine the count and type of bacteria. In the laboratory, the samples were incubated at 37°C for 48 h and were examined for the count and type of surgical wound contaminating bacteria and main pathogens of SSI. The current study consisted of 88 patients. 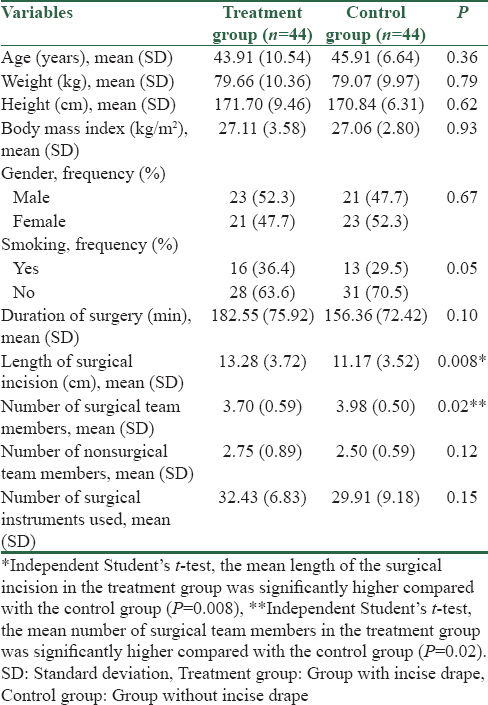 Both groups were similar in terms of demographic characteristics and surgical factors, and only the mean length of the surgical incision in treatment group was significantly higher compared with control group (P = 0.008) and the mean number of surgical team members in control group was significantly more compared with treatment group (P = 0.02) [Table 1]. However, the analysis of covariance test by modifying the duration of surgery, the length of surgical incision, and the number of surgical team and the nonsurgical team members present in the operating room in the two groups showed that the mean total bacterial count of surgical wound in any of the two stages had no significant differences between the two groups (P > 0.05). The mean total bacteria count of surgical wound IASI was not statistically significantly different between the two groups (P = 0.31) but was significantly less in IPSWC in control group compared with treatment group (P = 0.04). 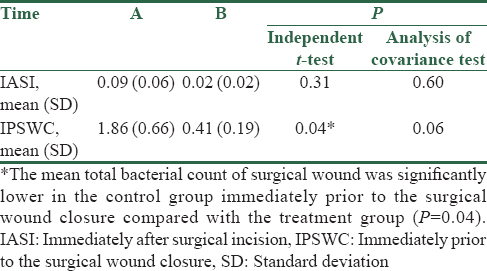 The mean total bacterial count of a surgical wound was significantly higher in each of the two groups between the stage IPSWC compared with stage IASI (P < 0.05) [Table 2]. The frequency distribution of S. aureus (P = 0.25) and Bacillus species (P = 0.5) in the stage IASI was not significantly different between the two groups. The frequency distribution of S. aureus (P = 0.02) and S. epidermidis (P = 0.002) was significantly higher in treatment group compared with the control group in stage IPSWC. The frequency distribution of S. aureus (P = 0.004) and S. epidermidis (P = 0.001) in the treatment group in stage IPSWC was significantly higher compared with stage IASI [Table 3]. Meredith DS, Kepler CK, Huang RC, Brause BD, Boachie-Adjei O. Postoperative infections of the lumbar spine: Presentation and management. Int Orthop 2012;36:439-44. Garner BH, Anderson DJ. Surgical site infections: An update. Infect Dis Clin North Am 2016;30:909-29. Zinn J, Jenkins JB, Swofford V, Harrelson B, McCarter S. Intraoperative patient skin prep agents: Is there a difference? AORN J 2010;92:662-74. Casey AL, Karpanen TJ, Nightingale P, Conway BR, Elliott TS. Antimicrobial activity and skin permeation of iodine present in an iodine-impregnated surgical incise drape. J Antimicrob Chemother 2015;70:2255-60. Grove GL, Eyberg CI. Comparison of two preoperative skin antiseptic preparations and resultant surgical incise drape adhesion to skin in healthy volunteers. J Bone Joint Surg Am 2012;94:1187-92. Talbot TR. Surgical site infections and antimicrobial prophylaxis. In: Bennett JE, Dolin R, Blaser MJ, editors. Mandell, Douglas, and Bennett's Principles and Practice of Infectious Diseases. 8th ed. Canada: Elsevier; 2015. Lilly HA, Lowbury EJ, London PS, Porter MF. Effects of adhesive drapes on contamination of operation wounds. Lancet 1970;2:431-2. Falk-Brynhildsen K, Söderquist B, Friberg O, Nilsson UG. Bacterial recolonization of the skin and wound contamination during cardiac surgery: A randomized controlled trial of the use of plastic adhesive drape compared with bare skin. J Hosp Infect 2013;84:151-8. Ward HR, Jennings OG, Potgieter P, Lombard CJ. Do plastic adhesive drapes prevent post caesarean wound infection? J Hosp Infect 2001;47:230-4. Anderson BE, editor. The Netter Collection of Medical Illustrations-Integumentary System E-Book. China: Elsevier Health Sciences; 2012. Alijanipour P, Karam J, Llinás A, Vince KG, Zalavras C, Austin M, et al. Operative environment. J Orthop Res 2014;32 Suppl 1:S60-80. Ho VP, Eachempati SR, Barie PS. Surgical Site Infections In: Moore LJ, Turner KL, Todd SR, editors. Common Problems in Acute Care Surgery. 1st ed. New York: Springer; 2013. French ML, Eitzen HE, Ritter MA. 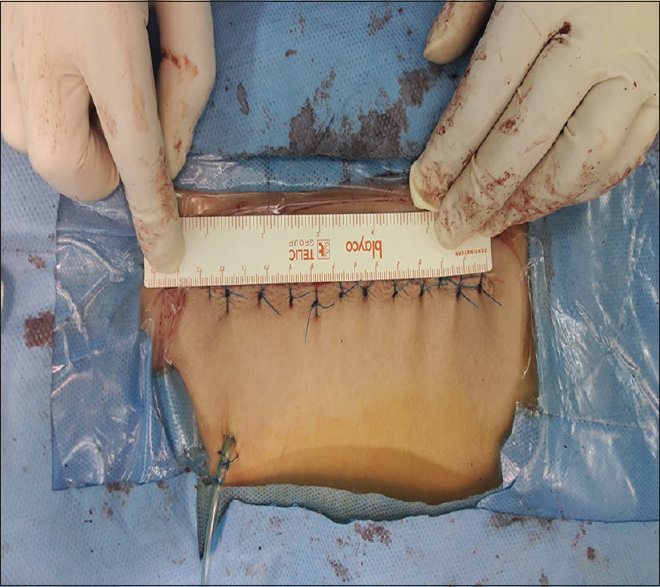 The plastic surgical adhesive drape: An evaluation of its efficacy as a microbial barrier. Ann Surg 1976;184:46-50. World Health Organization. Global Guidelines for the Prevention of Surgical Site Infection. Geneva: World Health Organization Document Production Services; 2016. Yoshimura Y, Kubo S, Hirohashi K, Ogawa M, Morimoto K, Shirata K, et al. Plastic iodophor drape during liver surgery operative use of the iodophor-impregnated adhesive drape to prevent wound infection during high risk surgery. World J Surg 2003;27:685-8. Rezapoor M, Tan TL, Maltenfort MG, Parvizi J. Incise draping reduces the rate of contamination of the surgical site during hip surgery: A prospective, randomized trial. J Arthroplasty 2018;33:1891-5. Leaper D, Burman-Roy S, Palanca A, Cullen K, Worster D, Gautam-Aitken E, et al. Prevention and treatment of surgical site infection: Summary of NICE guidance. BMJ 2008;337:a1924. Webster J, Alghamdi A. Use of plastic adhesive drapes during surgery for preventing surgical site infection. Cochrane Database Syst Rev 2015; 4:CD006353. Falk-Brynhildsen K, Friberg O, Söderquist B, Nilsson UG. 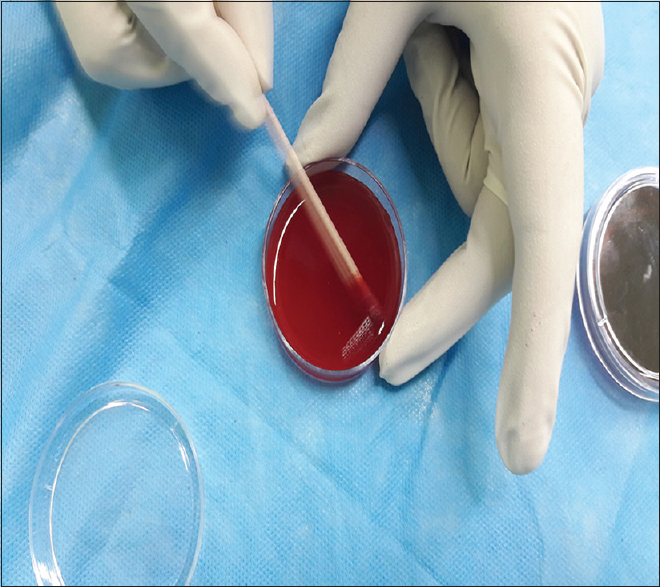 Bacterial colonization of the skin following aseptic preoperative preparation and impact of the use of plastic adhesive drapes. Biol Res Nurs 2013;15:242-8. Anderson DJ, Podgorny K, Berríos-Torres SI, Bratzler DW, Dellinger EP, Greene L, et al. Strategies to prevent surgical site infections in acute care hospitals: 2014 update. Infect Control Hosp Epidemiol 2014;35 Suppl 2:S66-88. Allegranzi B, Bischoff P, de Jonge S, Kubilay NZ, Zayed B, Gomes SM, et al. New WHO recommendations on preoperative measures for surgical site infection prevention: An evidence-based global perspective. Lancet Infect Dis 2016;16:e276-87. Darmstadt GL, Hossain MM, Choi Y, Shirin M, Mullany LC, Islam M, et al. Safety and effect of chlorhexidine skin cleansing on skin flora of neonates in Bangladesh. Pediatr Infect Dis J 2007;26:492-5. Owen LJ, Gines JA, Knowles TG, Holt PE. Efficacy of adhesive incise drapes in preventing bacterial contamination of clean canine surgical wounds. Vet Surg 2009;38:732-7. Berríos-Torres SI, Yi SH, Bratzler DW, Ma A, Mu Y, Zhu L, et al. Activity of commonly used antimicrobial prophylaxis regimens against pathogens causing coronary artery bypass graft and arthroplasty surgical site infections in the United States, 2006-2009. Infect Control Hosp Epidemiol 2014;35:231-9. Fairclough JA, Johnson D, Mackie I. The prevention of wound contamination by skin organisms by the pre-operative application of an iodophor impregnated plastic adhesive drape. J Int Med Res 1986;14:105-9. Falk-Brynhildsen K, Söderquist B, Friberg O, Nilsson UG. Response to M.H. Stevens and N.M. Klinger, re: Bacterial recolonization of the skin and wound contamination during cardiac surgery. J Hosp Infect 2013;85:325. Makki D, Probert N, Gedela V, Kustos I, Thonse R, Banim R, et al. Lifting incise drapes off the skin during wound closure can cause contamination. J Perioper Pract 2015;25:112-4. Alexander JW, Aerni S, Plettner JP. Development of a safe and effective one-minute preoperative skin preparation. Arch Surg 1985;120:1357-61. Artz CP, Conn JH, Howard HS. Protection of the surgical wound with a new plastic film. JAMA 1960;174:1865-8. Bejko J, Tarzia V, Carrozzini M, Gallo M, Bortolussi G, Comisso M, et al. Comparison of efficacy and cost of iodine impregnated drape vs. Standard drape in cardiac surgery: Study in 5100 patients. J Cardiovasc Transl Res 2015;8:431-7. Schimmel JJ, Horsting PP, de Kleuver M, Wonders G, van Limbeek J. Risk factors for deep surgical site infections after spinal fusion. Eur Spine J 2010;19:1711-9. Nicholson M, Beal M, Shofer F, Brown DC. Epidemiologic evaluation of postoperative wound infection in clean-contaminated wounds: A retrospective study of 239 dogs and cats. Vet Surg 2002;31:577-81. Wang T, Wang H, Yang DL, Jiang LQ, Zhang LJ, Ding WY, et al. Factors predicting surgical site infection after posterior lumbar surgery: A multicenter retrospective study. Medicine (Baltimore) 2017;96:e6042. Nagaria T, Kujur A, Thakur N. Incision length: An emerging risk factors for surgical-site infection following cesarean section. Int J Reprod Contracept Obstet Gynecol 2017;6:1829-33.